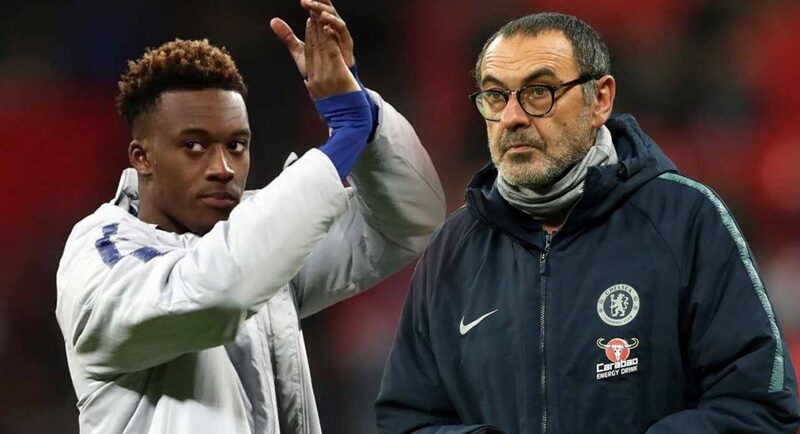 Maurizio Sarri has opted to start Callum Hudson-Odoi in the FA Cup against Sheffield Wednesday. This could be a final, desperate move from Chelsea. In case you missed the news last night, it has been widely reported that Callum Hudson-Odoi has submitted a transfer request. The widely held belief of the media is that Hudson-Odoi is intent on forcing through a move to Bayern Munich before the end of January. Maurizio Sarri opted against using Cesc Fabregas under similar circumstances, claiming that the Spaniard was not in the correct mindset to feature. So tell me, why has he gone against what he previously believed and given Hudson-Odoi the nod today? There’s a few possible explanations for this. Sarri may have prepared this team in advance and decided it was too late to change at the eleventh hour. He may not even care that Hudson-Odoi’s asked to leave, he’d ordinarily neglect responsibility in a situation like this. Alternatively, this could be a final attempt from Chelsea to turn the tide in their favour and have Hudson-Odoi stay put in West London. A last-gasp effort to convince him that the club does value him as highly as Bayern would. We’ll have to wait and see, and hope, it works.